It was just a few weeks ago that the rumored Storm2 refresh had been comfirmed to exist. Then news broke that Verizon no longer intended to carry the Storm 9570. However, it may not have been entirely Verizon’s doing. 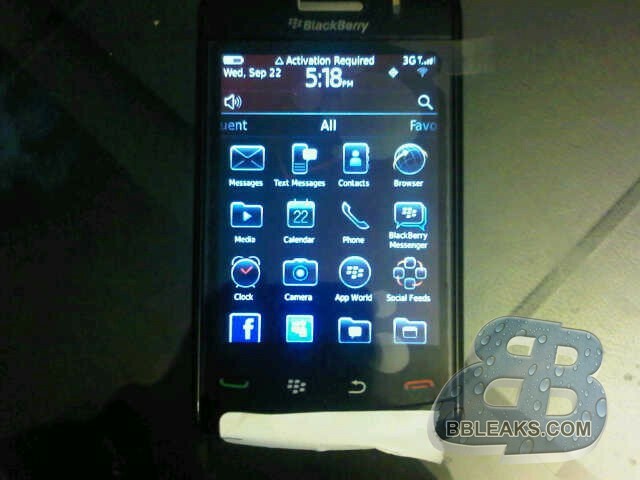 “Thank you for your hard work and diligence in preparing your application to support the upcoming hardware refresh of the BlackBerry Storm2 smartphone (model number 9570, codename R027). Regrettably, RIM has decided not to pursue this device further and has ended the program. So it seems that RIM has completely killed the Storm2 refresh. The 9570 seemed like it was just an option for Verizon. Verizon basically just wants a 3G/4G LTE capable touchscreen BlackBerry. It also wouldn’t surprise us if the Storm series is laid to rest. Perhaps, we may see a ‘miniplaybook’ type of device hit verizon in place of another Storm device. The entire Storm series was a bit of a flop and in our opinion the Storm 9570 would have only added to the travesty. So, it isn”t too far from our minds that RIM could either be finished with Storms or be working on one that will make people take another look at the series. Nevertheless, we are excited to see what other touchscreen devices bundled with the QNX operating system may be in store for the future.